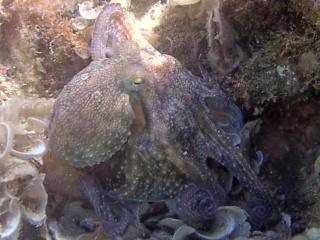 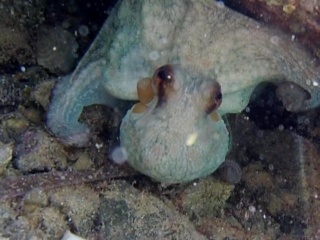 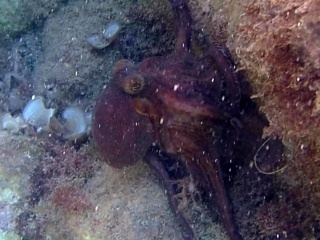 The common octopus (Octopus vulgaris) is a mollusc belonging to the class Cephalopoda, is the most studied of all octopus species. 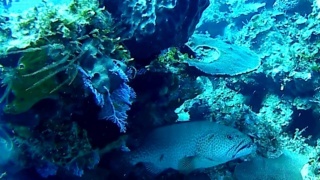 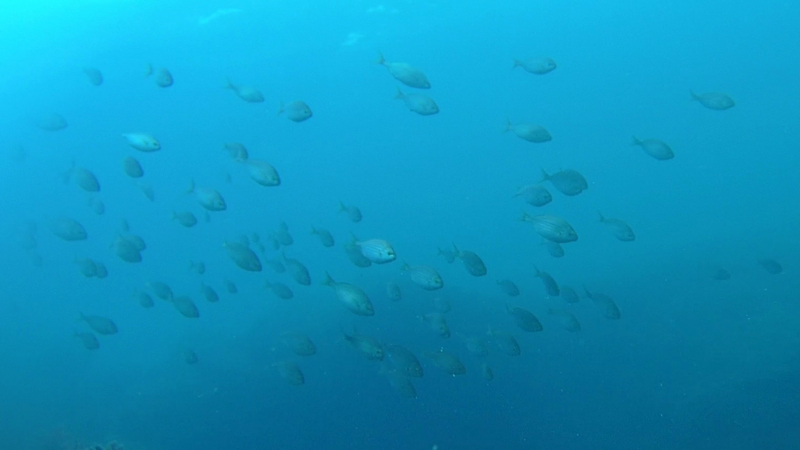 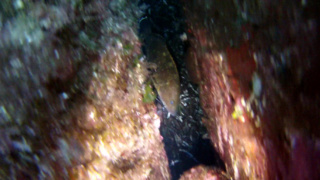 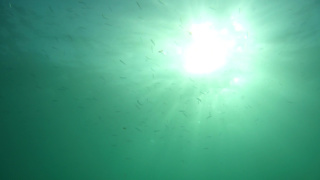 It is widespread in shallow waters, no more than 200 meters. 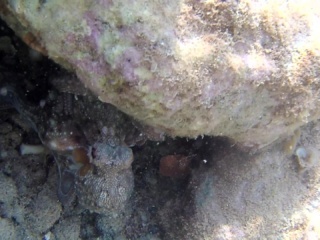 It prefers rough, rocky substrates, because they are rich in hiding places, cracks and small caves where it hides to avoid being see by predators. 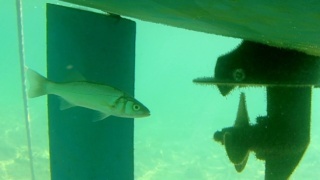 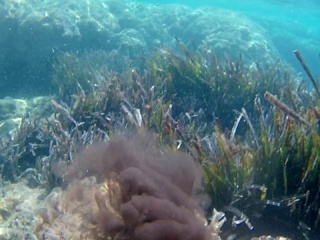 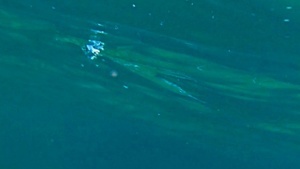 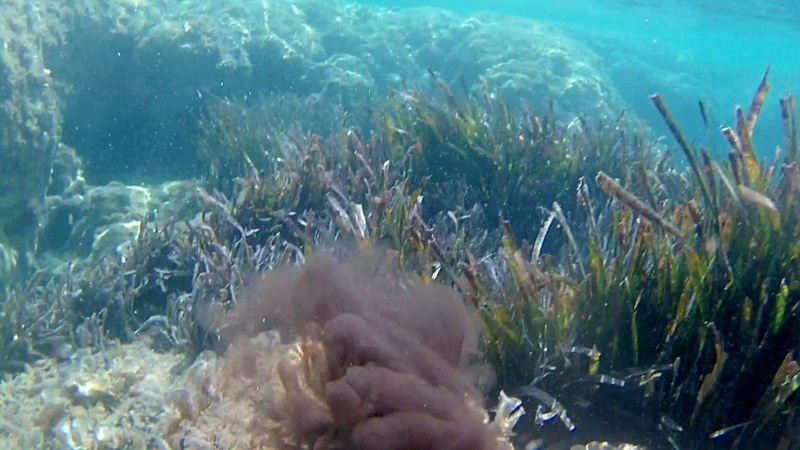 Present in all seas and oceans, it is widespread in the Mediterranean Sea. 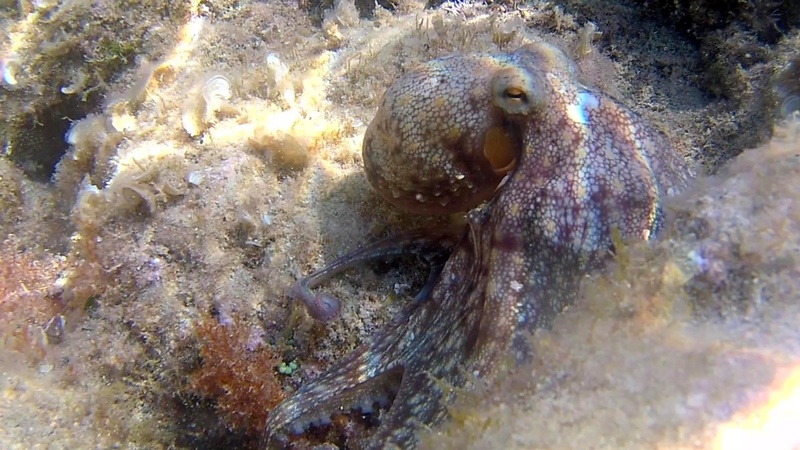 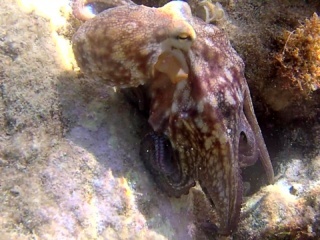 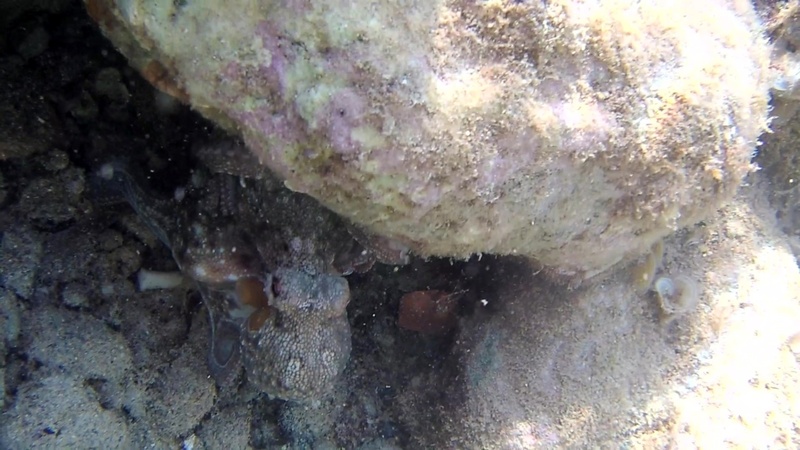 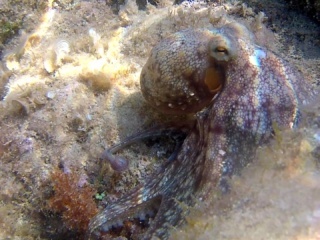 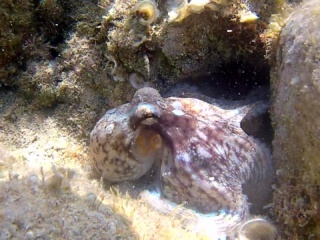 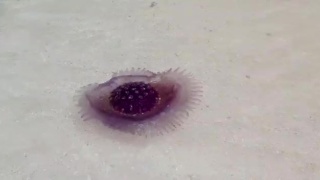 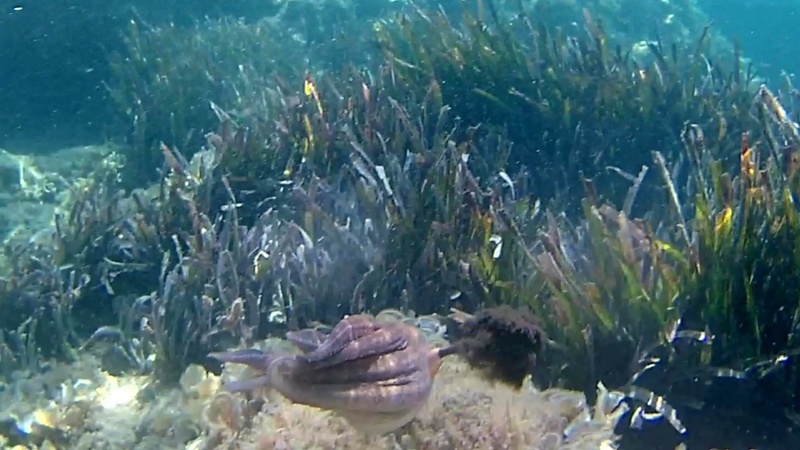 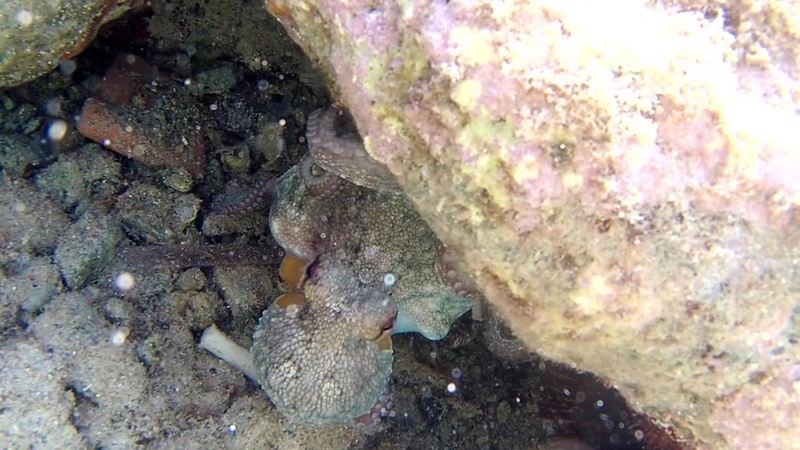 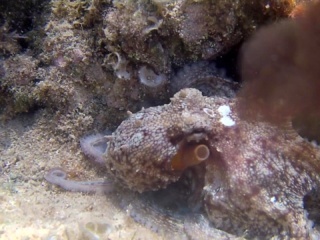 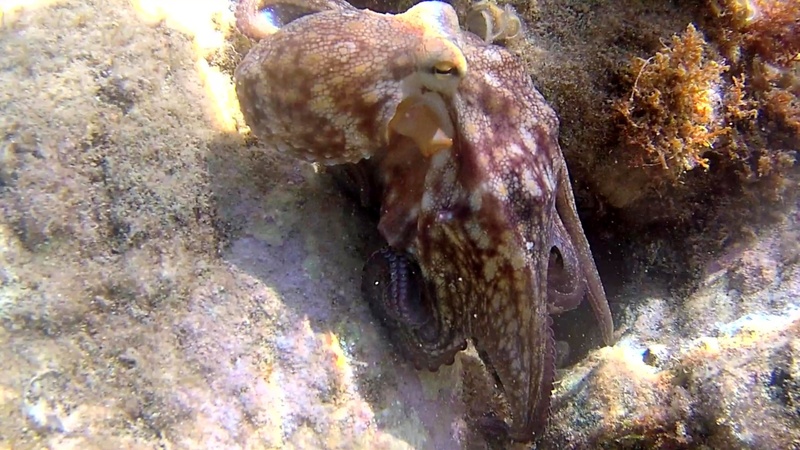 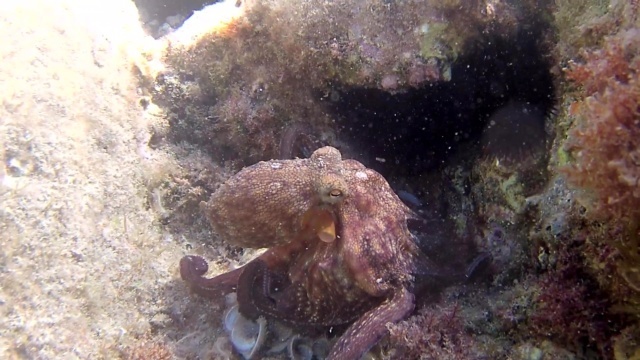 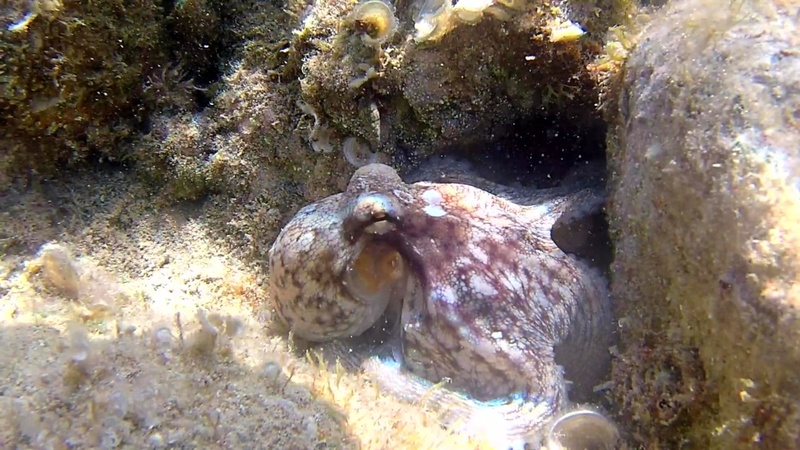 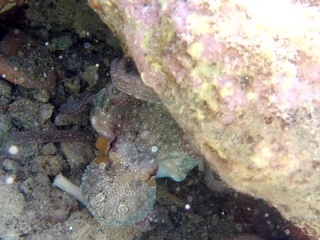 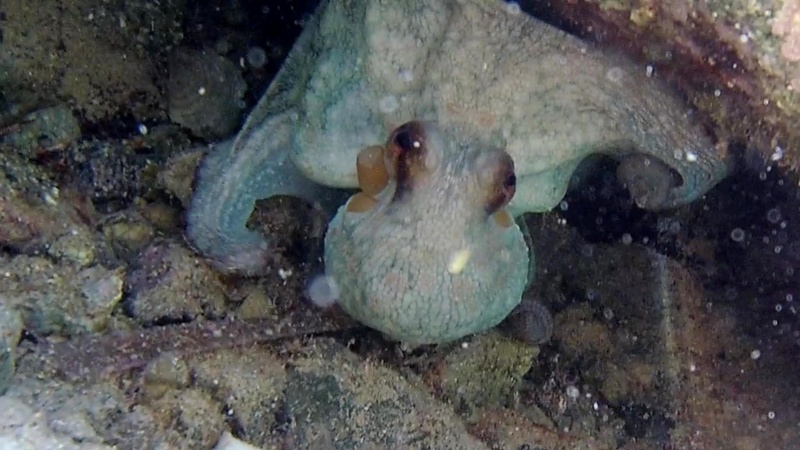 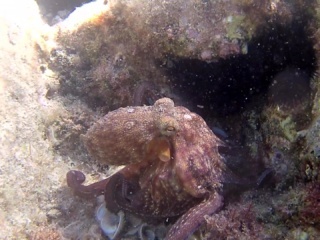 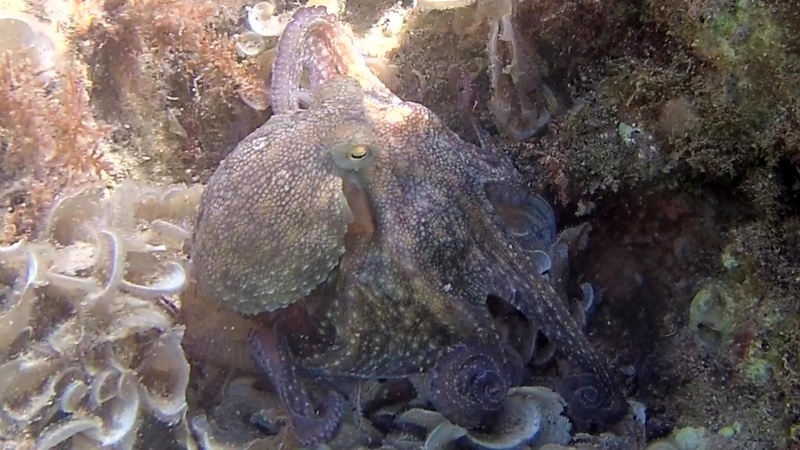 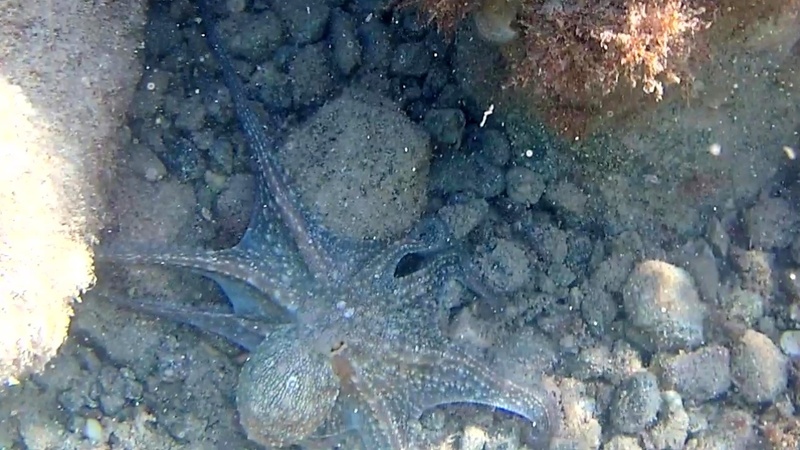 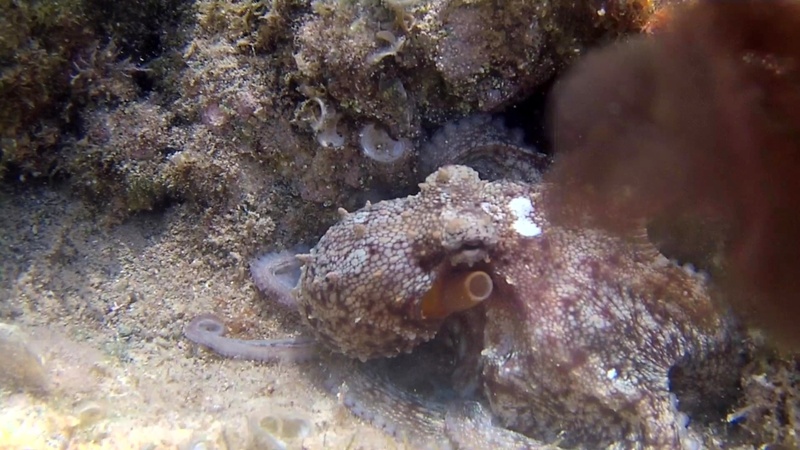 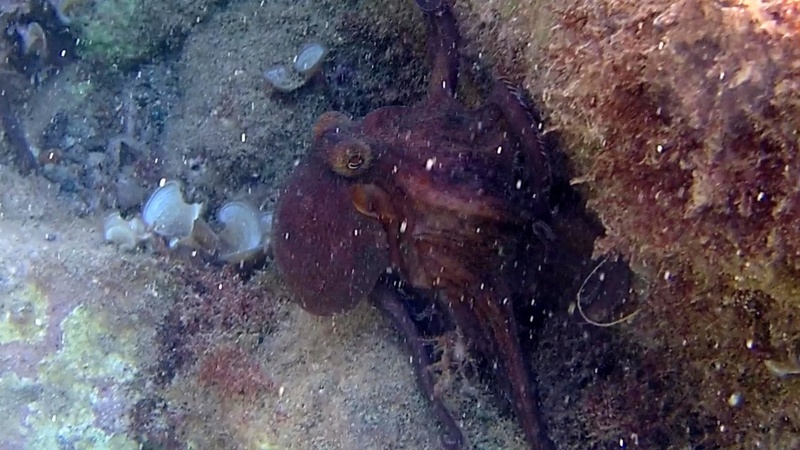 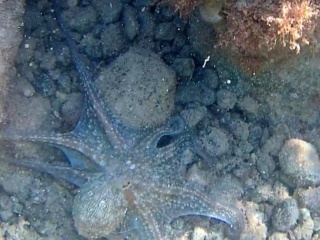 He is considered one of the most intelligent invertebrates capable of learning and as you can see in this video he escapes in case of danger, spraying his black ink on us. 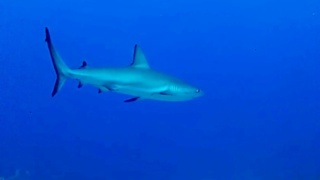 For its tasty meat it is used in kitchens of many countries.